BC Choral Federation has awarded Laurie twice for excellence in choral conducting! Laurie Walker started as an Elementary School Teacher from Ottawa in the late 1960's arriving in Victoria in 1976. 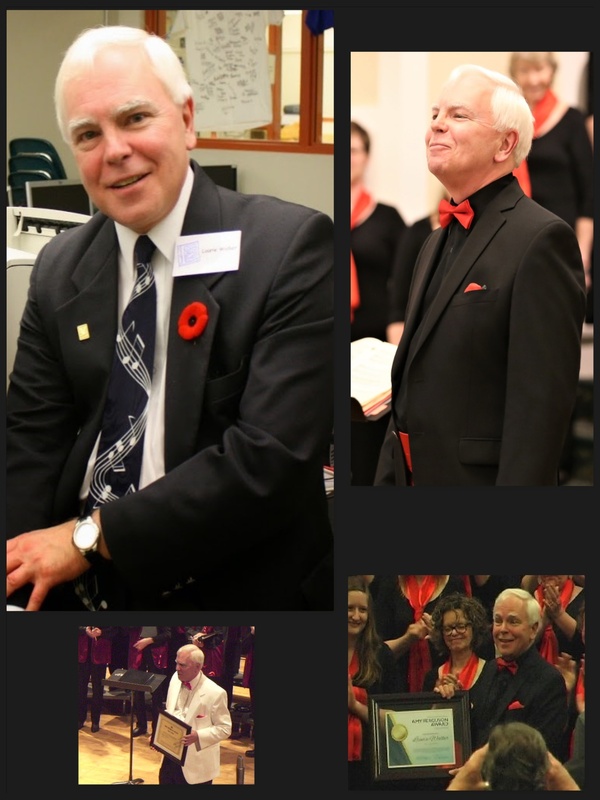 Laurie is well known for his high caliber student choirs at Monterey, Lampson and Eagle View Schools here in Victoria. He is also the former Director of the very accomplished and popular Youth Choir 61. Laurie has been involved with adult singers for many years. He was Musical Director of the Victoria Village Squires in the 1990's and the Arion Male Voice Choir 2002-2011 - the longest running male choir in Canada. Laurie also formed a mixed choir named Odonata for a few fabulous seasons ending in 2013. In 2016, Laurie retired from directing the Crystal Singers after 19 years of fun and dedicated service. He is currently the beloved Director of the Avalon Singers since 2007. Laurie's knowledge of music, his ability and technique, entwined with an absolutely infectious and animated sense of humor, make the Avalon Singers rehearsals and concerts a wonderful place to be. Going Up a Yonder - 2013 ...last verse!